When did the people in government become smarter about our lives than us? 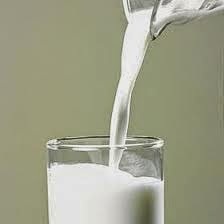 WASHINGTON – Milk — it does a body bad? Some Connecticut lawmakers seem to think so. The state legislature is considering a bill that would ban day care centers from serving whole milk or 2 percent milk to children. The move, according to the bill’s sponsors, is aimed at curbing childhood obesity — but opponents say the information is outdated. While the American Academy of Pediatrics put out a 2008 recommendation that children switch to low-fat milk after the age of 2 because they don’t need the fat content, others argue that the fat isn’t the dietary demon some claim. Greg Miller, executive vice president of the National Dairy Council, says new research shows that dairy fat isn’t as harmful to someone’s health as once thought. Miller argues that consumption of milk and milk products — regardless of fat level — is associated with lower blood pressure and a reduced risk of Type 2 diabetes.